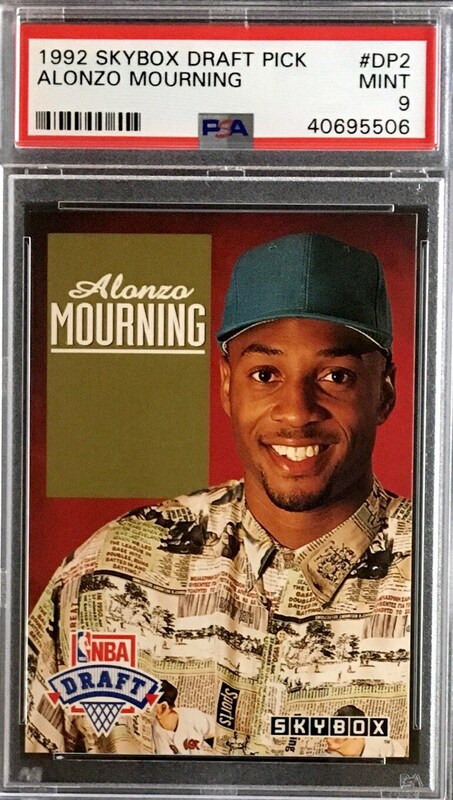 Up for your consideration is a 1992 Skybox Draft Pick #DP2 Alonzo Mourning Rookie card. This card features a draft image of the 2014 Hall of Fame inductee. 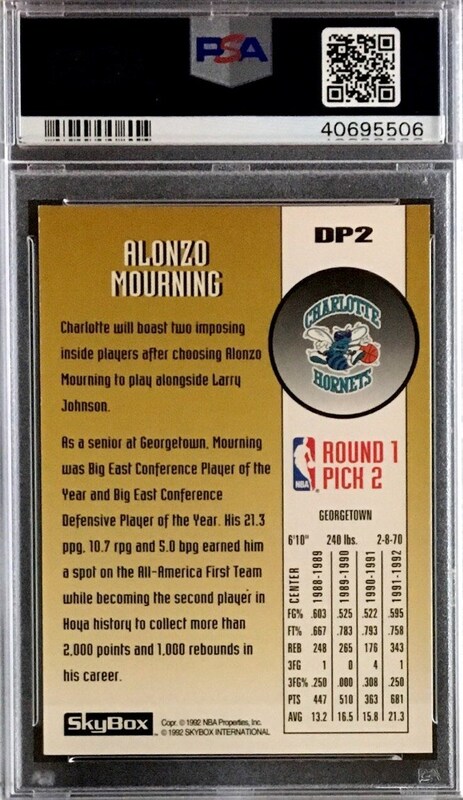 The carded has been graded a Mint PSA 9.